Here's a tip for a simple mobile. Plan a picnic in the forrest and have the little ones collect some pine cones and bird feathers. 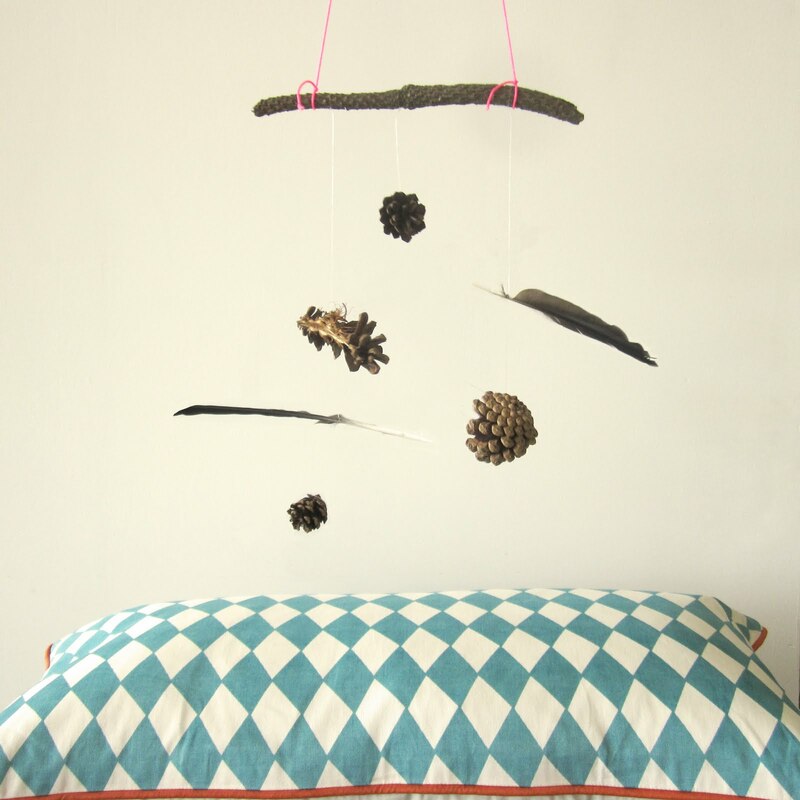 Hang it all from a branch and Voila you have yourself a great looking mobile.